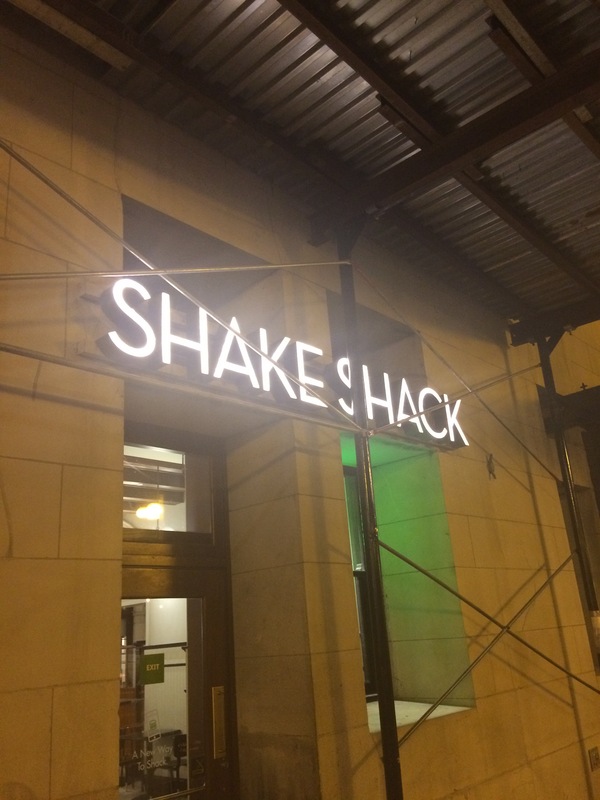 Shake Shack at the Chicago Athletic Association hotel on Michigan Avenue near Millenium Park in the Loop was a Godsend on my recent visit back to Chicago. I had flown in to O Hare and made my way down the Blue Line to my hotel at the Club Quarters over on West Adams Street by about 9pm and I was in dire need of some food. It was getting late and a quick search on Yelp was showing me that places were closing fast downtown. 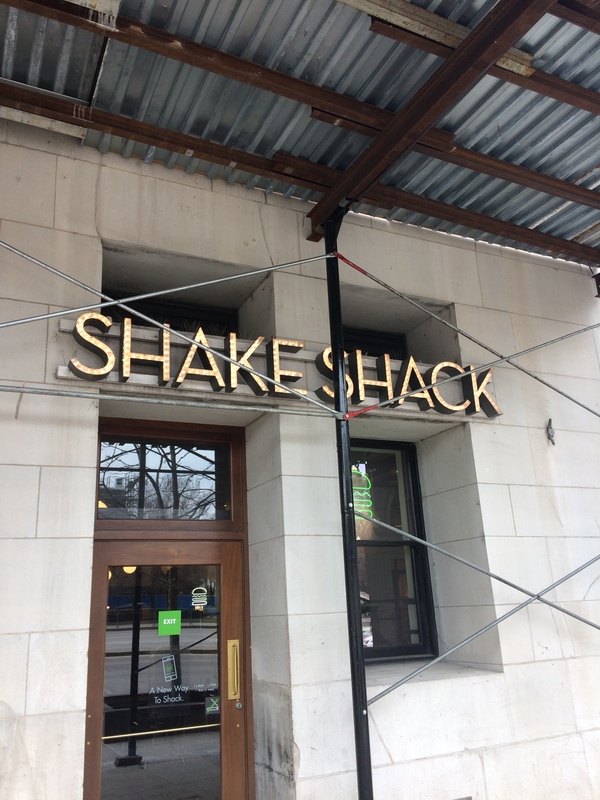 It was pretty cold out there, well below freezing, somewhere around 20F and I didn’t want to waste a meal, so when I saw that there was a Shake Shack that I had not been too nearby that was open until 11pm? well I had my hat, scarf, and gloves on and I was out the door to MyFoodHunt it down. Lets move on and talk about some food though! 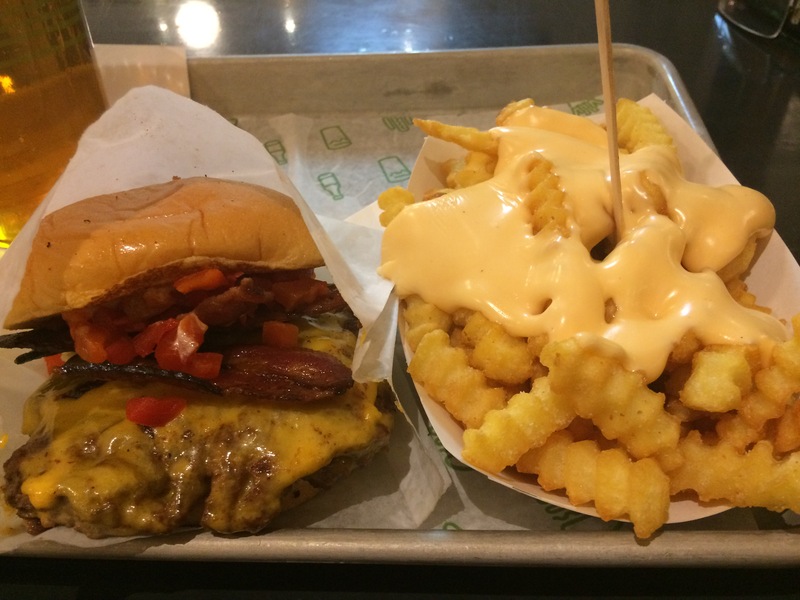 I always seem to order the same thing at Shake Shack (well I have only been twice) and that was the Smoke Shack burger with a side of Cheese Fries. This time I went for the Double, so I had the “Cheeseburger with all-natural smoked Niman Ranch bacon, chopped cherry pepper and Shack Sauce” for $9.69. Those crinkle cut cheese fries were another $3.99, and add to that the beer I ordered and there was not much change out of a twenty dollar bill! OMG! was it or is it worth that cash outlay? I kind of think that it is. There is something kind of magnificent about this somewhat overpriced burger sandwich. 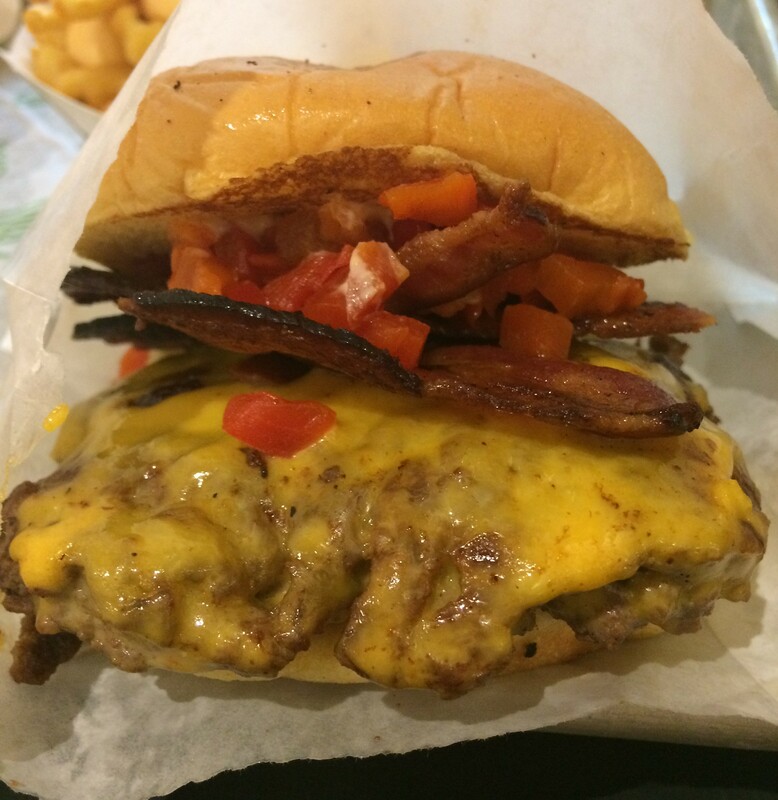 The meat patty on it’s own is pretty rustic, crumbly, moist, juicy and really quite chowable. Covered in molten cheese it takes on a whole new personality and becomes something that you kind of struggle not to gobble down like a mad man on a competitive burger eating mission. I loved this burger just as much as the last time I ate ‘exactly the same meal’ when I was last in Chicago over at the River North location (read more here) and I felt no guilt that I had chosen to do so once again, as I knew in my heart that it was a great decision on both occasions. Lets be honest, if it ain’t broke, why fix it?